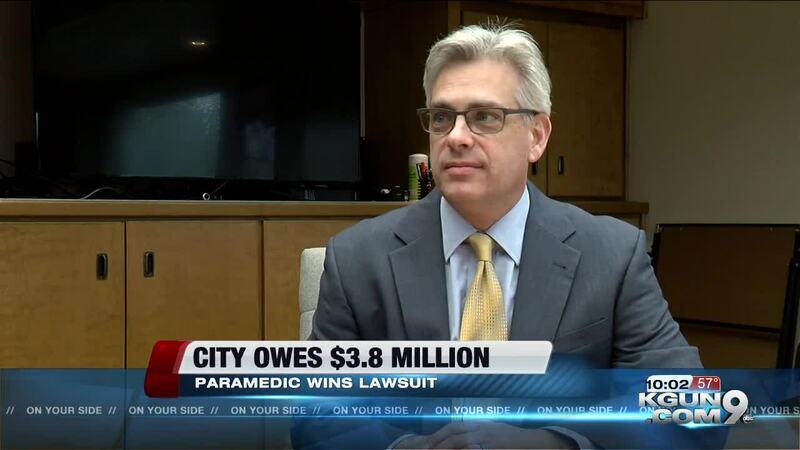 The city of Tucson has been ordered to pay $3.8 million dollars to a Tucson fire paramedic after the city failed to provide her with a private place to pump her breast milk. KGUN sat down with the paramedic's attorney Friday to hear their side of the case, which they said was completely avoidable. Tucson Paramedic Carrie Clark felt her federal labor standards and rights were being violated. She requested a space that would allow her to pump her breast milk, free from intrusion from co-workers and the public. Her attorney Jeffrey Jacobson took the case in 2014. "Roughly 40% of Tucson's fire stations did not comply with federal law," Jacobson said. "They eventually complied but after they complied that's when they started retaliating against her." When Clark returned from maternity leave she was placed on a swing paramedic shift, working at different station when needed. Her attorney says the problem is not all stations were equipped with private rooms. Clark then requested a transfer to station 12, which had an appropriate private area for pumping and adequate refrigerator space. But according to records, officials ignored the transfer. Now five years later, her attorney says Clark is seeing justice thanks to a jury. Jacobson says the win is a victory for working mothers, women and anybody who has ever experience retaliation in the workplace for standing up for their rights. "You should respect somebody with a legitimate issue, a legitimate legal cause and not show them who's boss at the end," Jacobson explained. The City of Tucson issued this statement, "The city is not going to comment on the jury verdict at this time. The City Attorney is preparing post-trial motions to file with the Court and is evaluating the City's position on the appeal."